This name uses Spanish naming customs: the first or paternal family name is Feliciano and the second or maternal family name is García. José Monserrate Feliciano García (born September 10, 1945), better known simply as José Feliciano [xoˈse feliˈsjano], is a Puerto Rican musician, singer and composer, best known for many international hits, including his rendition of The Doors' Light My Fire and the best-selling Christmas single, Feliz Navidad. His music is known for its fusion of styles: Latin, jazz, blues, soul and even rock, created primarily with his unique, signature acoustic guitar sound. His oftentimes mellow easy listening influences are easily recognizable in many songs heard around the world. In the United States, he first received widespread popularity in the 1960s, particularly after his 1968 album Feliciano! reached number two on the music charts. Thus far, he has released over fifty albums, worldwide, in both English and Spanish. Feliciano was born in Lares, Puerto Rico, on September 10, 1945. The fourth child of eleven sons, Jose was born blind as a result of congenital glaucoma. He was first exposed to music at the age of 3, playing on a tin cracker can while accompanying his uncle who played the cuatro. When Feliciano was 5, his family moved to Spanish Harlem, New York City, where at the age of 9 he made his first public appearance at the Teatro Puerto Rico in The Bronx. Feliciano's knack for music became apparent when at seven, he taught himself to play the accordion. About two years later, however, when Jose was nine years old, his father handed him a paper bag -- with his first guitar, changing his life forever. He would play this instrument by himself in his room for up to 14 hours a day, and would learn by listening to 1950s rock and roll, records of classical guitarists and jazz players. Andrés Segovia and Wes Montgomery were among his favorites. As a teenager, Feliciano took some classical guitar lessons with Harold Morris, a staff music teacher at The Light House School for the Blind in New York City. Morris, himself, had once been a student of Andres Segovia. In a 1969 interview, Feliciano mentioned soul music in general, and Ray Charles and Sam Cooke in particular, as influences on his singing. At 17, in order to help support his family, Jose quit high school. He started frequenting the coffee houses of Greenwich Village, 'passing the hat' as his 'salary' in those clubs where he was invited to play. His first professional, contracted performance was at The Retort, a coffee house in Detroit, Michigan . In 1963, while gaining recognition in pubs, coffee houses and clubs throughout the U.S. and Canada, especially in Greenwich Village, New York, and Vancouver, British Columbia, he was unexpectedly discovered while performing at Gerde's Folk City in the Village and immediately signed by Jack Somer, an executive at RCA Victor. In 1964, he released his first single, Everybody Do the Click (which became a hit in the Philippines, at No. 2, staying 14 weeks in the Top Ten Hit parade) and was invited to the 1964 Newport Folk Festival. In 1965 and 1966, he released his first albums: The Voice and Guitar of Jose Feliciano and A Bag Full of Soul, two folk-pop-soul albums that showcased his talent on radios across the US, where in July of 1963 he had been described by New York Times columnist, Robert Shelton as a "10-fingered wizard". In 1966, Jose visited Mar del Plata, Argentina, to perform at the 'Festival de Mar del Plata'. There, he so impressed the RCA Victor executives, that they wanted him to stay and record an album for them in Spanish. They were unsure how they wanted to record Feliciano so Jose suggested he record some of the bolero music of his parents where Jose then added his blues and folk influences from his experiences while playing in the Village. The result was two smash hits with the singles Poquita Fe ("Little Faith", also entitled "Sin Fe", or "Without Faith"), and Usted. This was the beginning of a series of successful singles, albums and gold records throughout Latin America and Hispanic communities in the United States where Feliciano revolutionized the sound of the bolero. Some of his most beloved interpretations include La Copa Rota, La Carcel de Sing Sing, Extraños en la Noche which charted concurrently as the Spanish version of Frank Sinatra's Stranger in the night. A year later, Feliciano was scheduled to perform in the United Kingdom but the authorities would not allow his guide dog, Trudy, into the country unless she was quarantined for six months. The stringent quarantine measures of those days were intended to prevent the spread of rabies. Devastated by their actions, Feliciano wrote a song about his experience entitled No Dogs Allowed (becoming a Netherlands Top 10 hit in 1969), which told the story of This first visit to London. During his British visit on July 16, 1967, Feliciano gave a live performance on the pirate radio stations Radio 227 and Radio 355, on board the 'MV Laissez Faire' off the British coast less than a month before the stations were due to be closed by the UK's Marine Broadcasting Offences Act. He also guested on a popular British television show with Dusty Springfield and recorded a rare single for RCA in England called My Foolish Heart / Only Once which was played on London radio[clarification needed]. Earlier, on June 4, 1967, in London's Speakeasy Club, Jimi Hendrix came to the stage and complimented Feliciano on his extraordinary guitar work. After two more successful albums, Feliciano, now a household name throughout Latin America, moved to Los Angeles. He was introduced to RCA Victor producer, Rick Jarrard who, at the time, was also producing Harry Nilsson and Jefferson Airplane. They recorded the hit album Feliciano! together, including the Doors' song Light My Fire. Jose's style was clearly defining itself by that time as that of an innovative crossover artist with soul, folk and rock influences, infused with a substantial Latin flair. RCA released California Dreamin' as the first single during the summer of 1968 with Light My Fire as the "B-side." A DJ behind the mic at KJR-Radio in Seattle, Washington liked that song on the flip side, played it on the air, and it took off, reaching #3 on the US pop charts with over one million copies sold in the US market alone. The song became a #1 hit in many countries, including Canada, Brazil and the UK and was awarded a gold disc. On the strength of this success, Feliciano won two 1968 Grammy Awards for Best New Artist of the Year and Best Pop Male Performance, bringing him worldwide recognition as an avant garde pop star because of his unique "crossover" style from Latino music to English-language pop/rock. He is widely recognized as the first virtuoso classical guitarist to bring the sound of a nylon-string guitar into the pop/rock scene. On October 7, 1968, at the height of protests against the Vietnam War, Feliciano was invited by Detroit Tigers broadcaster Ernie Harwell to perform The Star-Spangled Banner at Tiger Stadium in Detroit during Game 5 pre-game ceremonies of the 1968 World Series between the Tigers and the St. Louis Cardinals. His personalized, slow, Latin jazz performance proved highly controversial and damaging to Jose's career in the months, even in the years that followed. In an October 2006 NPR broadcast, however, he expressed pride at being the one to open the door for artists to later interpret the nation's anthem. His World Series rendition, which features Feliciano accompanying himself on an acoustic guitar, was released as a single that charted for five weeks on the Billboard Hot 100, peaking at number 50, the first time the United States' anthem appeared on the American music charts. That recording of the national anthem is now on permanent exhibit in the Baseball Hall of Fame in Cooperstown, New York. In 1969, Jose recorded two more albums with Rick Jarrard, 10 to 23 and the London Palladium double-disc LP, alive alive-o!, both of which were awarded gold discs He also worked with Quincy Jones on the Mackenna's Gold movie soundtrack, where he recorded the theme song Old Turkey Buzzard and appeared on numerous US television shows, performing duets with Johnny Cash, Bing Crosby, Glen Campbell, Andy Williams, and Diana Ross. In 1970, Feliciano released an album of Christmas music, again with Rick Jarrard, originally entitled "Jose Feliciano," festively resembling a Christmas present in gold wrapping with a big green and red bow. Later, the album would assume the name of its most unlikely selection, that of the little song, Jose's composition, Feliz Navidad. During the recording process Rick had suggested that Jose write "a new Christmas song for the album!" Jose thought it impractical but began reminiscing about his childhood in Puerto Rico and moments later Feliz Navidad was born. Feliz Navidad has been covered internationally by countless artists, becoming a traditional part of the musical landscape around the world at Christmas time. Each year during the Christmas season, "Feliz Navidad" returns to the airwaves as one of the most-played and most-downloaded songs of the season. "Feliz Navidad" is also recognized by ASCAP as one of the 25 all-time most-played Christmas songs in the world and it is in the Grammy Hall of Fame. In 1971, he traveled to Italy to participate in the Sanremo Music Festival, singing the song "Che Sarà" in Italian, earning second place in that contest along with a standing ovation from the Italian public. He later recorded the song, which became a success in Italy, and in much of Europe, including the Eastern Bloc countries, as well as in Asia. Feliciano later recorded it in Spanish as "Qué Será", which became a hit in Central and South America, and in English as Shake a Hand, which was a hit in Scandinavian countries. Feliciano wrote and performed the theme song to the 1970s comedy series Chico and the Man, and played a guest role on that series as the cousin of Chico (Freddie Prinze), singer Pepe Fernando. In the 1970s, he acted and composed for television series and movies including McMillan & Wife, Kung Fu, and the soundtrack for the 1976 movie Aaron Loves Angela. He has also been a guest performer on many albums by other artists, including Bill Withers's +'Justments, John Lennon's Rock 'n' Roll, Joni Mitchell's Court and Spark, Michael Nesmith's Tantamount to Treason Vol. 1, and has given concerts with Carlos Santana, Cat Stevens, and Paul Simon. In 1975, on his last RCA album Just Wanna Rock'n'Roll'' Feliciano released his well-known jazz-funk-Latin instrumental composition "Affirmation", which was re-released one year later by jazz guitarist George Benson on his hit album Breezin. In early 1974, Jose performed behind the Iron Curtain Prague, Czechoslovakia, sharing the stage there with Czech idol, Karel Gott. In 1979, he recorded a spontaneous version of his 1968 hit "Light My Fire", as a duet with rhythm and blues/pop singer Minnie Riperton. The duet was included on Riperton's final studio album for Capitol Records. Riperton died of cancer two months after its release. Feliciano recalls that the duet was unplanned, which is why he is not heard until the second half of the song. He and Riperton were friends and he just happened to be working in adjoining studio while she was recording and popped in to say "Hello!" During the 1980s, after a brief stay on Motown with two English albums produced by Berry Gordy in 1981 and Rick Jarrard in 1983, Feliciano was a guest on the 1983 NBC television show Motown 25: Yesterday, Today, Forever). During this time period record companies recognized his continuing strength in the Latin market, so he released a number of successful records for that market, including the Motown albums 'Escenas de Amor' and 'Me Enamoré', as well as others from RCA, EMI, and Capitol, garnering four more Grammy Awards for best Latin Performer. He recorded a duet called "Por Ella" with the most popular Mexican singer at the time, José José, which became a Latin hit. In the 1980s and into the 1990s, José recorded duets with Natalie Cole ("More Than the Stars" on her 1987 album Everlasting), Gloria Estefan ("Tengo Que Decirte Algo" on her 2000 album Alma Caribeña), Chamaco Rivera ("Consuelo" on his 1984 album 'Por Fin'), jazz singer Diane Schuur ("By Design" and "The American Wedding Song" on her 1985 album 'Schuur Thing'), and Paul Simon ("Born in Puerto Rico" on his 1997 album Songs from The Capeman). In 1982, Feliciano played guitar on the DeBarge record All This Love. Feliciano received his star on the Hollywood Walk of Fame on December 1, 1987, galvanizing his high profile as a popular singer and celebrity. Feliciano was honored by the City of New York, which renamed Public School 155 as the Jose Feliciano Performing Arts School. He had his hands cast on the Madame Tussauds Museum's Wall of Fame and has a star on the Walk of Fame of his native Puerto Rico. He also had a hit in 1987 in Austria with the song "The Sound of Vienna", which reached number 1 there for 4 weeks, and recorded with the Vienna Symphony Orchestra. The Orchestra also performed with him live on national television at Danube Park in Vienna before more than 60,000 people. When Jose Feliciano became a father in 1988, in 1991 and again in 1995, he enjoyed staying closer to home. Always loving radio and wanting to one day be a disc jockey, Jose teamed up with Mark Graham, the owner/programmer/DJ of radio station WMMM in Westport CT, where they co-hosted a weekly live radio broadcast called, "Speaking of Music." Here the comical duo would chat about music of all kinds and where Jose could share his vast knowledge of the music industry. Jose would play live on air, take questions from callers and interview guest artists. He enjoyed that post for over a year and says he learned a lot from the experience. Feliciano released the cover version of Richard Marx's "Right Here Waiting" in early 1990 and in 1994, he recorded a dance record in English entitled "Goin' Krazy" (MJM Records) under the pseudonym JR. Latino disk jockeys around the world supported the record, helping the 12-inch dance record chart on Billboard and earning him new and younger fans. In 1996, he made a cameo appearance in the film Fargo as a lounge singer. Actor, Steve Buscemi is remembered in the film for his now-famous line, "You know, Feliciano, you got no complaints." Feliciano was also an inaugural member of the Independent Music Awards' judging panel to support independent artists. Feliciano performed the theme song "Behind the Mask" for the television series Queen of Swords in 2000. Jose was presented the 2000 Grammy Legend Award at the 42nd Annual Grammy Awards, the same ceremony that saw Santana win 9 Grammys and Christina Aguilera become the second Hispanic to win Best New Artist. In 2000 Guitarra Mía, a special tribute to Feliciano, was produced by the Banco Popular de Puerto Rico and aired both in Puerto Rico and in the US. This television special (and its soundtrack) featured Feliciano and many Puerto Rican and international stars singing some of his most famous songs, along with his personal favorites from other artists. It was first aired in December 2000, just two days after his mother died unexpectedly from a heart attack. The special's final scenes featured her giving her son a standing ovation, recorded for the occasion a month before. On December 6, 2006, Feliciano's new Spanish album, 'José Feliciano y Amigos', was released by Universal Records, featuring Feliciano in duets with other Latin American stars including Luis Fonsi, Lupillo Rivera, Luciano Pereyra, Rudy Pérez, Cristian Castro, Marc Anthony, Ramón Ayala, Alicia Villarreal, Ricardo Montaner, and Raúl di Blasio. A special edition was later released, featuring Ana Gabriel and Gloria Estefan. In 2007, Feliciano released an album called Soundtrax of My Life, the first English-language album completely self-penned. On October 16, 2007, Feliciano appeared on the Late Show with David Letterman to perform "Old Turkey Buzzard", the theme song from ''Mackenna's Gold''. For several months prior, Letterman had been using a clip from the movie and song as a running gag. In 2008, Feliciano, a practicing Roman Catholic, performed at the Papal Mass at Yankee Stadium in New York. In 2009, Jose was awarded his eighth Grammy for the album Señor Bolero. On December 15, 2010, Feliciano appeared as the featured guest on the 37th episode of Daryl Hall's Webbie-Award-winning webcast Live From Daryl's House. Feliciano and Hall took turns on several numbers, including Feliciano's version of Light My Fire. On November 9, 2011, Feliciano received the Latin Grammy Lifetime Achievement Award from the Latin Academy of Recording Arts & Sciences. On May 10, 2010, Feliciano performed his rendition of "The Star-Spangled Banner" at Comerica Park in Detroit. This was part of the remembrance of Detroit Tigers radio announcer Ernie Harwell, who had died May 4th the Tuesday before. He played it the way he had in 1968 with his acoustic guitar and his slow tempo, Latin jazz style. In January 2012, he was a guest in Memphis for the celebration of Elvis Presley's birthday, where he announced the release (on August 7, 2012) of his new album The King, a tribute to Elvis produced in collaboration with Elvis' best friend, radio personality George Klein and released by Johnny Phillips' Select-O-Hits label. On September 19, 2012, in honor of Hispanic Heritage Month, he was invited to sing God Bless America for the seventh-inning stretch of the New York Yankees game at Yankee Stadium. Additionally, less than a month later, on October 14, 2012, Feliciano returned to baseball's post-season, and on national television, once again rendered his stylized version of the Star-Spangled Banner in San Francisco before the first game of the National League's Championship Series against the St. Louis Cardinals. On November 2017, Feliciano released a new Jazz and R&B Album with UK star-musician Jools Holland and sold out a 33-date tour throughout the UK, Ireland and Scotland. The album became a hit and reached number 24 in the UK charts, the first time for an LP by José after his 1970 LP "Fireworks." 2018 marked the fiftieth anniversary of Jose Feliciano’s iconic, yet highly controversial, rendition of the United States’ National Anthem, The Star-Spangled Banner, as well as his entry onto the international music scene with his RCA recording of Feliciano!, which featured Light My Fire. The anniversary year was celebrated for its impact on Feliciano’s career with concerts performed around the world, including Australia, throughout Europe and North and South America. Feliciano’s Golden Anniversary Year was highlighted in May with his triumphant return to his homeland of Puerto Rico. The event was held at the Luis A. Ferré Performing Arts Center, Centro de Bellas Artes and was called, Jose Feliciano: Transcendental 50th Aniversario de Oro y su Legado. To a full house, Feliciano and his homeland public shared his fifty years of musical celebrity in the two-hour spectacle. On Flag Day, June 14th, 2018, Feliciano was the keynote address speaker for the Smithsonian National Museum of American History in Washington, D.C. where nineteen new citizens pledged their allegiance to the United States of America. The event was held in Flag Hall, where the actual banner that flew over Fort McHenry in 1814, inspiring Francis Scott Key to write the poem which would become ‘The Star-Spangled Banner,’ is exhibited. At this same event a Donation Ceremony was held where Jose Feliciano presented to the Smithsonian Museum his Candelas Guitar with which he first rendered the Star-Spangled Banner, causing a national furor in 1968, along with other personal objects for the Smithsonian's permanent collection. On September 8th, 2018 Feliciano was invited by the Detroit Tigers baseball team to return to their ball field and perform the Star-Spangled Banner again as he had in 1968. The Tigers were facing the St. Louis Cardinals again and they wanted Jose to recapture the moment reminiscent of their own 50th anniversary of winning the World Series. This time around, Jose’s performance was met not with the undertones of hatred and hostility of 1968 but rather, with the uproarious cheers of an enthusiastically grateful crowd. 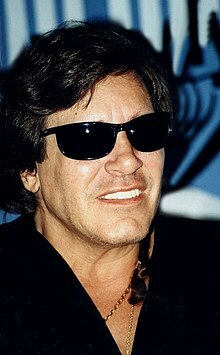 50 years later, Jose Feliciano was finally at peace with his being the first artist to publicly stylize the National Anthem. Feliciano's Golden Year culminated with a Christmas-time performance at The Vatican to perform in their prestigious annual Christmas celebration, Concerto di Natale, 2018. During their time in Rome, Jose Feliciano and his son, Jonnie, were invited to attend a private audience with Pope Francis. José Feliciano met Susan Omillian, an art student, in Detroit, Michigan in August 1971. After becoming friends and dating for 11 years they married in 1982. They have three children: a daughter, Melissa, and two sons, Jonathan and Michael. Susan was raised in Detroit and met Ernie Harwell during the controversy over Feliciano's rendition of the National Anthem in 1968. It was Harwell who later introduced her to Feliciano. The Feliciano Family reside in New England. Feliciano was divorced from his first wife, Janna (née Hilda Pérez, 1945–2018), in 1978. In December 2009 a parody of "Feliz Navidad" entitled "The Illegal Alien Christmas Song" was created by radio producers Matt Fox and A. J. Rice and posted on the website for Human Events, Washington-based weekly publication. The parody, sung in English, played on the stereotype of Mexican immigrants as heavy drinkers and that illegal immigrants were going to "spread bubonic plague". "This song has always been a bridge to the cultures that are so dear to me, never as a vehicle for a political platform of racism and hate. It's disgusting and my only wish that my song and I are distanced from the whole affair as soon as possible." In a statement to the Associated Press the same day, Jed Babbin, Human Events site editor, apologized for "any offense that Mr. Feliciano may have taken from this parody" and removed it from the site. In Ponce, he is recognized at the Illustrious Ponce Citizens Plaza of the Parque del Tricentenario. In 1996, Feliciano was awarded the El Premio Billboard. He was also awarded the Latin Grammy Lifetime Achievement Award in 2011. In 2000, Feliciano was inducted into the International Latin Music Hall of Fame. He was also inducted into the Latin Songwriters Hall of Fame in 2013. 1969 - Alive Alive O! ^ a b Richie Unterberger. "Feliciano!". AllMusic. Retrieved 25 November 2015. ^ "Extremely Accomplished Musician José Feliciano - English Blog - By Puerto Rico Channel". Puertorico.com. Retrieved 25 November 2015. ^ Episode 37: Jose Feliciano :: Live From Daryl's House with Daryl Hall :: Current Episode. Livefromdarylshouse.com. Retrieved on 2012-05-12. ^ "Jose Feliciano Gateway - Welcome to the Official Jose Feliciano Website!". Josefeliciano.com. Retrieved 25 November 2015. ^ "José Feliciano". Discogs. Retrieved 27 October 2017. ^ "Various - The Newport Folk Festival 1964 Evening Concerts: Vol. 1". Discogs. Retrieved 27 October 2017. ^ "Jose Feliciano". LondonTown. Retrieved 25 November 2015. ^ a b Murrells, Joseph (1978). The Book of Golden Discs (2nd ed.). London: Barrie and Jenkins Ltd. p. 239. ISBN 0-214-20512-6. ^ "Papal Mass - Jose Feliciano Official Website". Josefeliciano.com. Retrieved 27 October 2017. ^ "Uk Official LP Charts". Retrieved 11 December 2017. ^ "Musician will pay tribute to Harwell by singing national anthem in Detroit", The Detroit Free Press, p. 7B, Monday, May 10, 2010. ^ "Janna Merlyn Feliciano". Los Angeles Times. January 2018. Retrieved January 17, 2019 – via legacy.com. ^ Jose Feliciano Official Site - OFFICIAL STATEMENT. Josefeliciano.com. Retrieved on 2012-05-12. ^ "Singer Feliciano protests 'Feliz Navidad' parody". boston.com. Retrieved November 24, 2018. ^ Lannert, John (May 4, 1996). "Int'l Latin Music Conference Brimming With Talent". Billboard. Nielsen Business Media. 108 (18): L-12. ISSN 0006-2510. Retrieved April 11, 2014. ^ Cantor-Navas, Judy (January 28, 2013). "Julio Iglesias in First Class to Enter Latin Songwriters Hall of Fame". Billboard. Prometheus Global Media. Retrieved December 21, 2017. ^ a b "Feliciano Official Charts". Fantasticfeliciano.blogspot.it. Retrieved October 27, 2017. ^ "José Feliciano Chart History: Hot 100". Billboard. Retrieved December 18, 2018. ^ a b Roberts, David (2006). British Hit Singles & Albums (19th ed.). London: Guinness World Records Limited. p. 197. ISBN 1-904994-10-5. ^ Hung, Steffen. "Dutch Charts - dutchcharts.nl". Dutchcharts.nl. Retrieved 27 October 2017. Wikimedia Commons has media related to José Feliciano.